Tom leads our evidence generation work across the organisation. 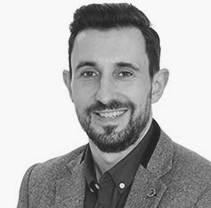 Tom has 15 years of experience of public sector research and analysis roles. He joined EIF from the Department for Education, where he led the Strategic Analysis function providing analytical support across all areas of DfE policy. Much of his work focused on the performance of disadvantaged children, and the role of education in improving social mobility. Prior to that, Tom worked for eight years at the National Audit Office, where he developed and led the Decision Analysis and Modelling group as well as designing and delivering multi-method evaluations across a range of government activity, including end-of-life care, PFI hospitals and government forecasting. Tom has a BSc in genetics and an MA in bioethics, from the University of Sheffield.